I had seen friends posting about Sea & Smoke for quite a while now, so on a recently visit to San Diego, we decided to stop in for dinner to check it out. 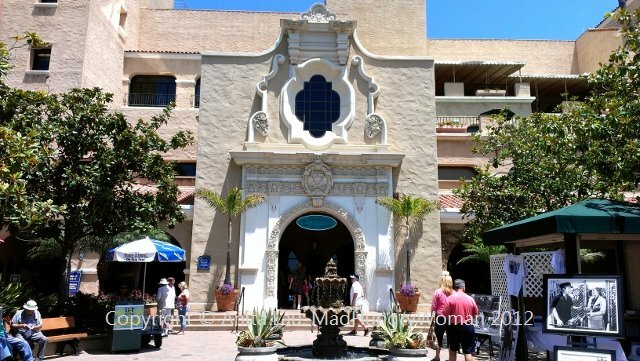 It is right off the 5 freeway in Del Mar in a plaza I’m quite familiar with. The restaurant is impressive which puzzles me why they have chosen this spot to open. But then, we see Cucina Enoteca just down the way in the same plaza. I guess the whole place is getting a face-lift with new restaurants and renovations. The interior is classic but modern, the bar area seems to be the most popular spot with people hanging out and converging. However, my favorite area is the outside courtyard, reminiscent of a beautiful garden on a luscious estate. The color scheme also makes for a rather relaxing experience. We settled in for an early dinner beginning with some cocktails. Barolo Manhattan Rye with Barolo Chinato and House Bitters ($12) and a Kentucky Punch Bourbon ($9) refreshing and light with citrus, green tea and wine. Although I was not able to partake in the Oysters Del Mar ($15), my son devoured his portion with gusto. 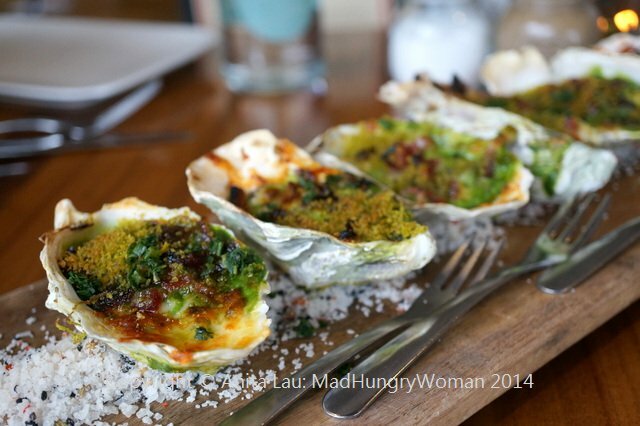 These broiled oysters smelled incredible prepared with a spinach mornay, topped with parsley bread crumbs and of course bacon. I’ll always order octopus when I see it, I just can’t help it. Charred Octopus ($13) was flavored nicely, all the way through even at the thickest part. Roasted ancho pepper romesco is a good accompaniment and made for a colorful plate, but I did not feel it was required. Warm frisee, golden raisins and green olives seemed a strange pairing at first, but worked well together. 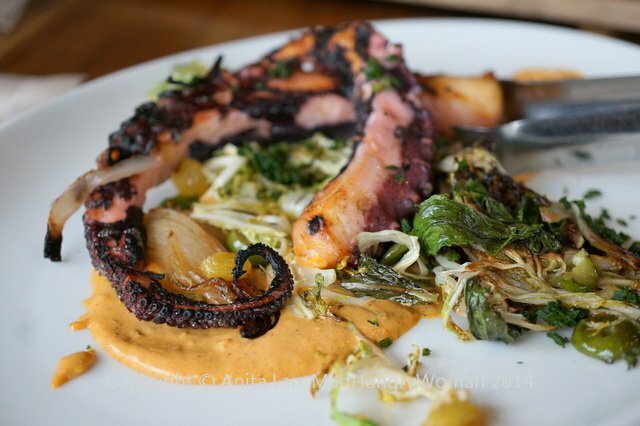 The octopus was slightly over-charred in some areas, but on the whole, a lovely dish. 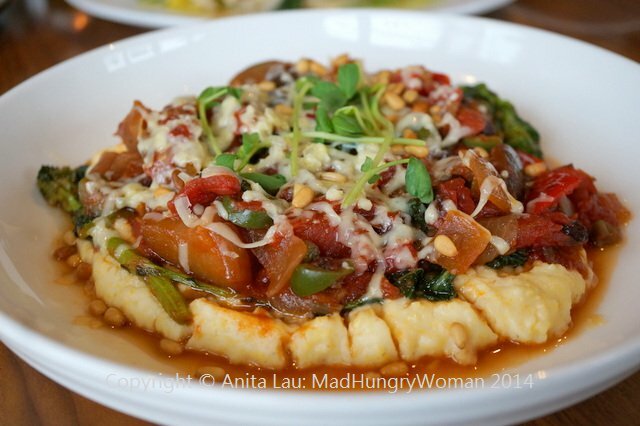 Creamed Polenta ($16) is one of those vegetarian dishes even a carnivore will love. In fact, it was so good I had not one complaint about it, except how huge the portion was — not really a negative, I know. Topped with an incredible tomato eggplant caponata, currants, green olive, rapini and parmesan, I’m not sure the currants added much except to give it a little sweetness, but it was perfect without. We were looking for some entrees with more protein involved and naturally, the boy leaned towards the Niman Ranch Burger ($13). I took a bite of it and was highly impressed by the perfectly medium rare temperature — as we had ordered it. The smoked onion jam was robust and so rich on the palate. 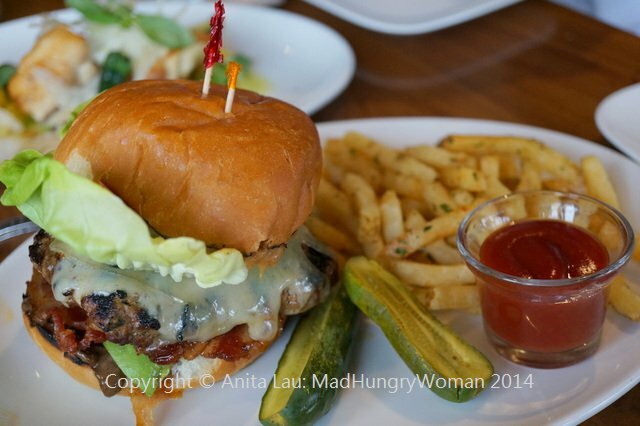 Using both Swiss and cheddar cheeses also added to the decadence of this burger. Definitely a respectable dish all around. You can add bacon or avocado for an extra $2 each. 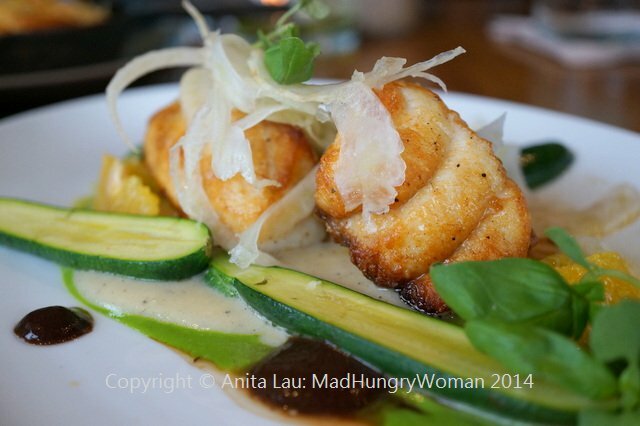 I ordered the Local White Seabass ($25) and was delighted to find it perfectly executed. The outside was well-seared and the inside remained moist and fork-tender. Accoutrements of black olives, orange and fennel worked together and the brown butter potato puree was light. I really enjoyed our meal here and was elated that the chef put together a menu with ingredients I don’t ordinarily see together, and didn’t think would work together. 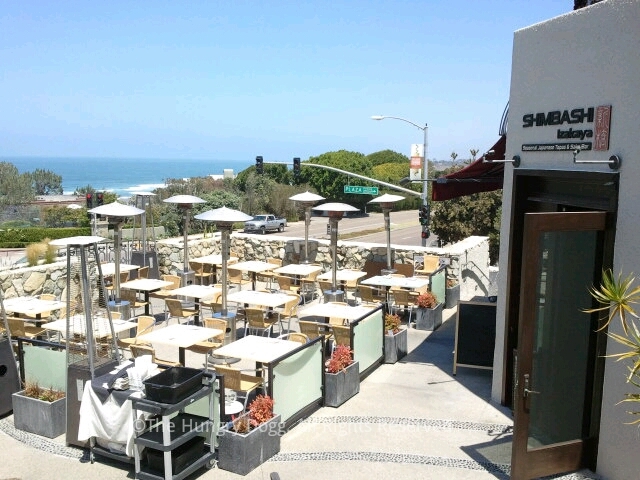 Definitely a worthy dining choice when you are down San Diego way. 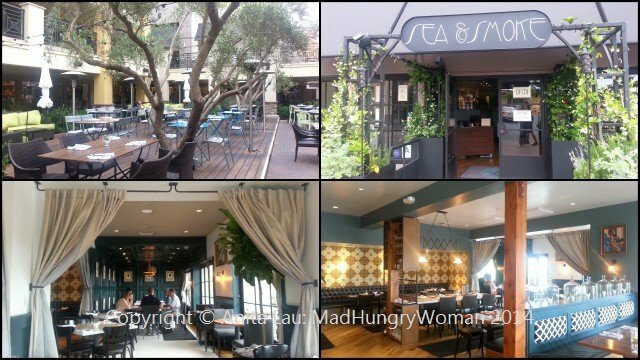 I’m always excited about new restaurant openings and when I heard that a new gastropub style restaurant opened in Del Mar, I was so there. The restaurant is located in a part of Del Mar I’d never been to, and although it wasn’t far off the freeway, it wasn’t in a visible spot. Even when I arrived at the location, I was a bit perplexed. When I walked into the restaurant, however, I was surprised at its really rustic decor keeping in tune with the wine and beer theme. A lot of wood, including the staves off the wine barrels align a partition in the middle of the room — what a great idea! 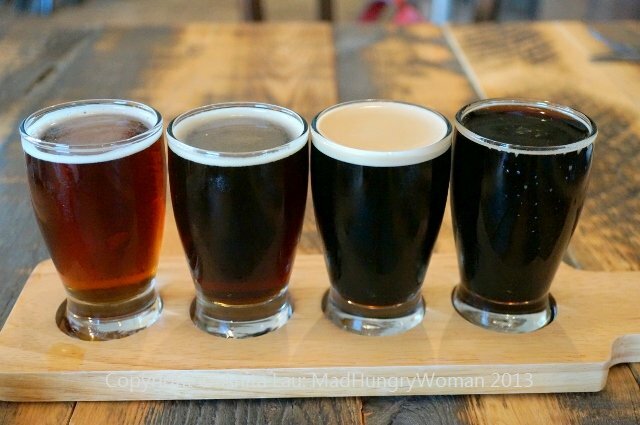 We started off with the Dark and Mysterious flight ($11) consisting of four beers: Rip Current Stringer Scottish, Dogfish Head Indian Brown Ale, Acoustic Ales Hot Mess, Ballast Point Victory at Sea. My favorites were the latter two. 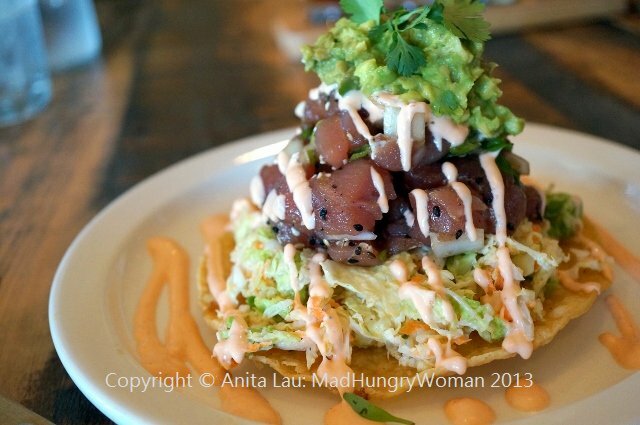 Ahi Poke Tostada ($14) was suggested by our server. The sashimi grade tuna was top quality and arranged on top of a crispy corn tortilla with a Napa cabbage slaw. The crushed avocado added a creamy consistency and the slight heat of the Sriracha crema was very pleasing. 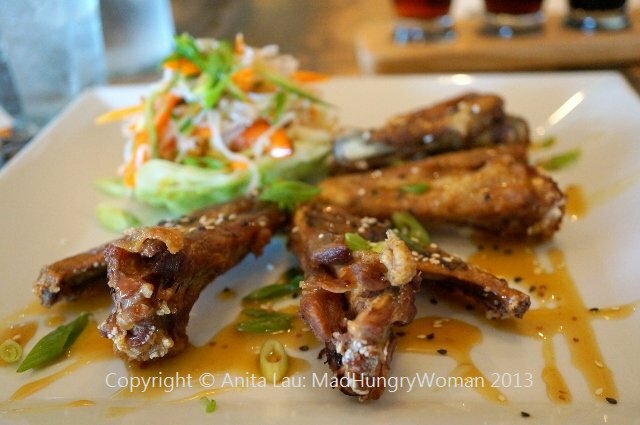 I couldn’t resist Duck Wings ($12) when I saw it on the menu and was so glad I got them. Cage free duck wings are crispy and I relished in chewing on them. Tossed in a sauce of local honey, Chinese mustard and orange glaze, they were salty, sweet, perfect accompaniment for the beer!! The cold rice noodle and shredded vegetable salad is Thai-inspired and possessed a light and refreshing contrast on the palate. Absolutely delightful. 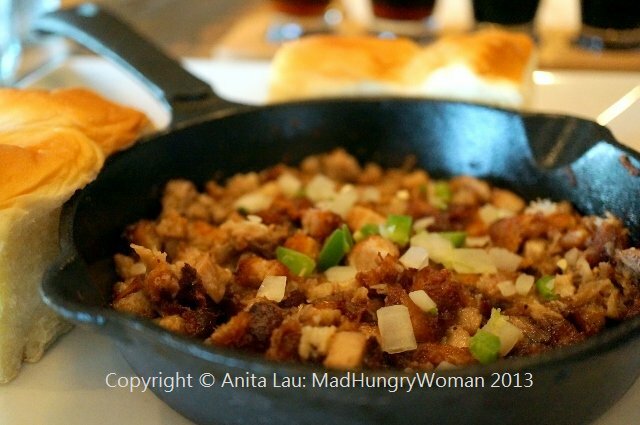 Sizzling Sisig ($14) is a unique take on the Filipino dish of the same name. I’ve never had the Filipino version before but was told this is a fantastic rendition using pork collar, shoulder and belly, which is first marinated, then braised and chopped, before it is fried on a sizzling skillet with onion and jalapeno. It reminded me of a hash without the potatoes. Traditionally, rice is served alongside sisig but here, Hawaiian sweet rolls make for a great partner. 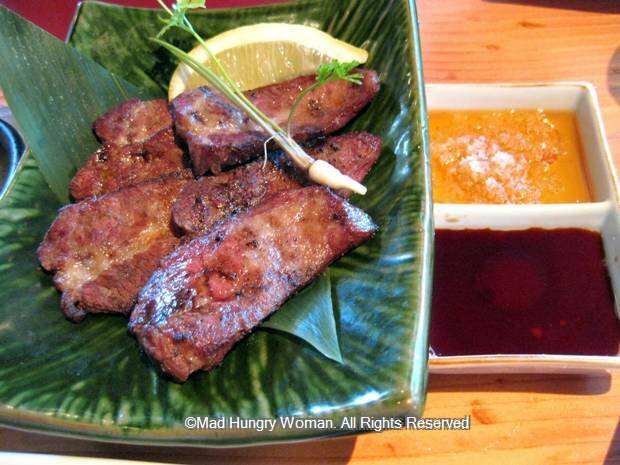 The sweetness pairs well with the saltiness and slight tart, spiciness of the pork. SO GOOD! I was intrigued by the Belgian Ale Braised Mussels ($14) because I am told a different Belgian ale is selected each day to be used with this dish. On the night of our visit, it was Iron Fist Hired Hand Saison. 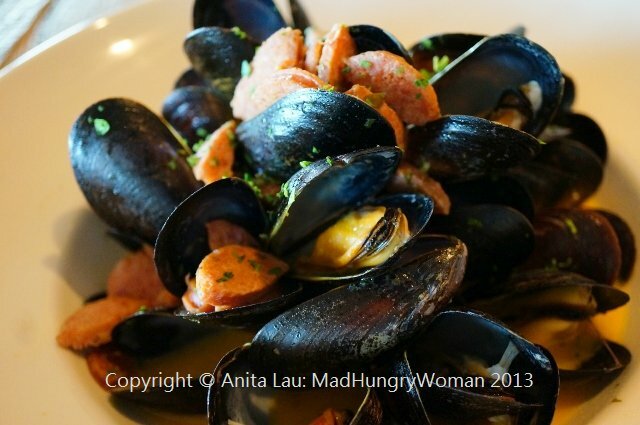 PEI mussels are tender and the lemon garlic butter piquantly pleasing. 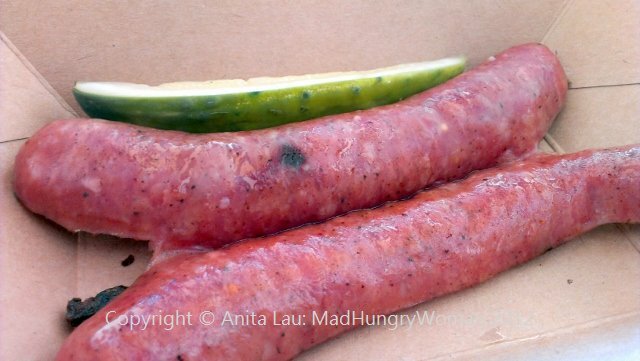 I’m sure you’ll think I was crazy to complain about this, but I thought there was way too much andouille sausage in the bowl. 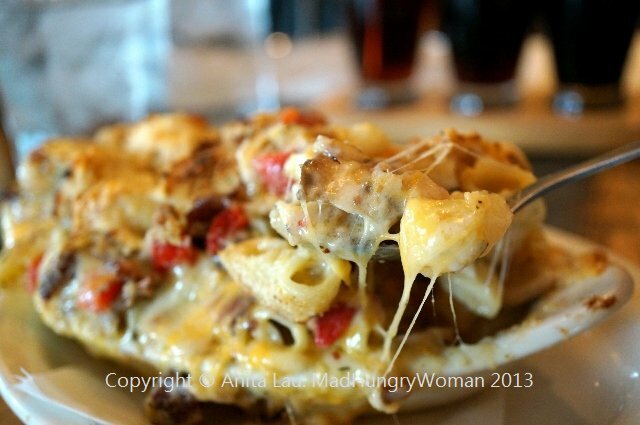 We couldn’t leave without trying one of their signature macaroni and cheese selections. Ecstasy Mac N Cheese ($9/$13) is gooey and rich smothered in gorgonzola and bechamel, dotted with applewood smoked bacon, mushrooms, roasted red pepper, garlic and thyme. I was impressed by the use of thyme as it elevated the aromas and flavors without overpowering. Our last (but not least) dish was a pizza. Sublime Tavern’s owner apparently studied under a famous pizza chef up in the Bay Area to learn about the intricacies of creating an ideal crust. 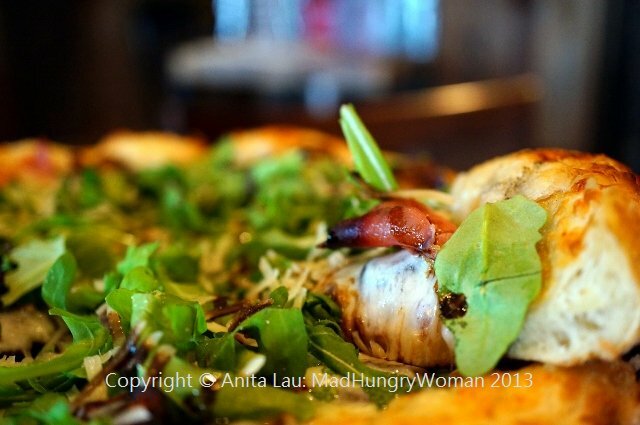 Get Figgy Wit It ($17/$24) comprises sweet figs, prosciutto, arugula, parmesan a drizzle of balsamic glaze and olive oil on a puffed up garlic base. I was really too full to eat a whole piece but I managed a few bites! I liked the airy crust and the toppings are generous. 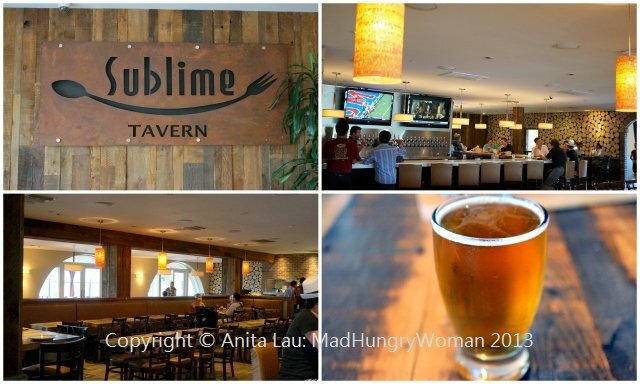 Sublime Tavern definitely has what it takes to be a successful spot, not only for the beer and wine but also, the food. My experiences with gastropub-style establishments often mean they excel in one or the other, but few can claim to be this well-rounded. My only concern is its hidden spot which won’t generate much foot traffic. Hopefully when the word starts spreading, it will garner all the accolades it deserves. I’ve had Burlap on my radar for quite some time now and finally was able to make a trip down to Del Mar with Austin and some friends a few weeks ago. When we got there, I was quite underwhelmed by the lackluster exterior of the place, but when we entered, it was a whole ‘nother story. There is definitely an Asian theme throughout the restaurant with ornate lion’s heads dangling from the ceiling above the bar and a koi pond on the back patio. There are nooks and crannies all over with a private dining room hidden behind the lounge area and a separate outside lounge on the far end of the restaurant. 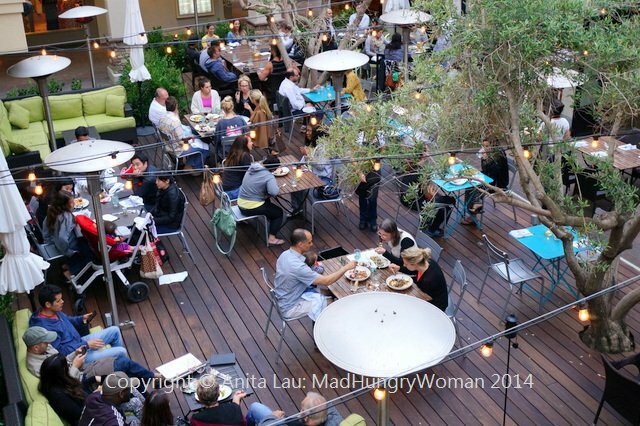 It was a beautiful day, albeit a windy one, and it seemed everyone was seated outside on the patio. I soon found out that not only was the decor very Asian-centric, but so was the menu. 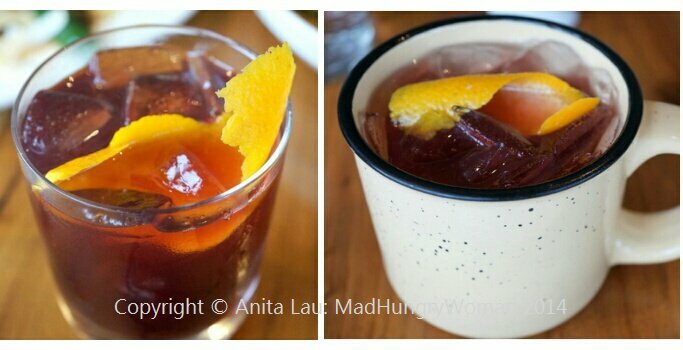 We started with a cocktail — The Dragon ($12) — of tequila, prosecco and a Szechuan gastrique. 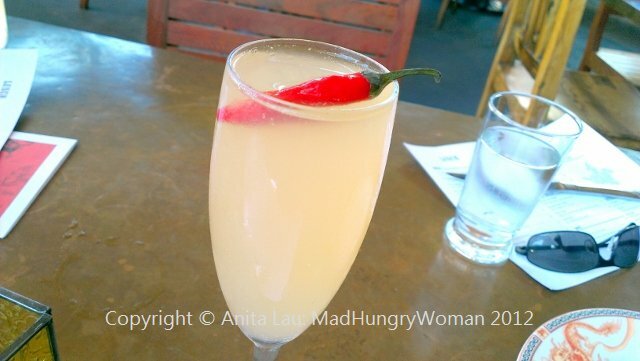 I was intrigued by the ingredients, but unfortunately, even the chili pepper garnish wasn’t enough to add any bit of kick to the drink. The prosecco tasted a little flat and just didn’t give it the fiery punch I had expected from its flamboyant moniker. 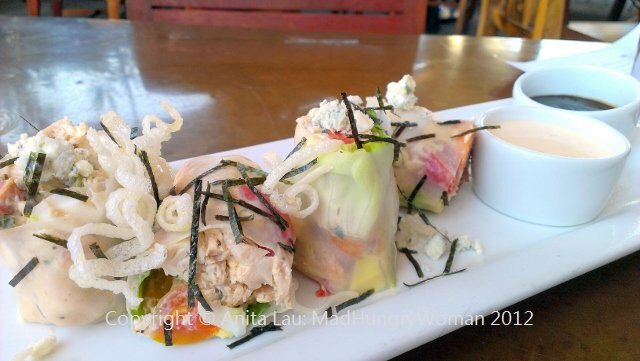 Cobb Salad Spring Rolls ($12) was interesting, essentially a salad rolled inside Vietnamese rice paper with bacon, nori, chicken, noodle strips served with a red curry ranch. It wasn’t presented with finesse as the messy plate was quite unpleasant, but thy definitely tasted a lot better than they looked. 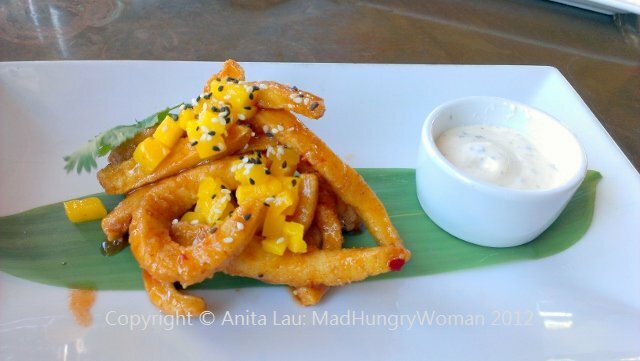 I really enjoyed the Squid ($10), strips of squid fried and tossed with a sweet chili sauce. It was served with a cilantro creme fraiche dipping sauce, but it was great on its own, no sauce needed. 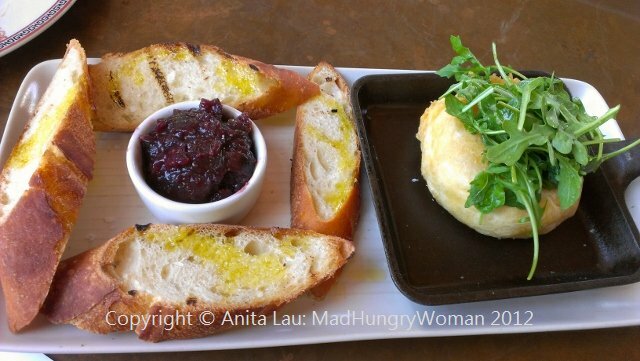 The Brie ($13) was fried tempura style but was reminiscent of a baked brie appetizer. Nothing special, but tasty nonetheless. I was really intrigued by Korean Fried Chicken ($13) because I love fried chicken, and especially the Korean-style fried chicken. 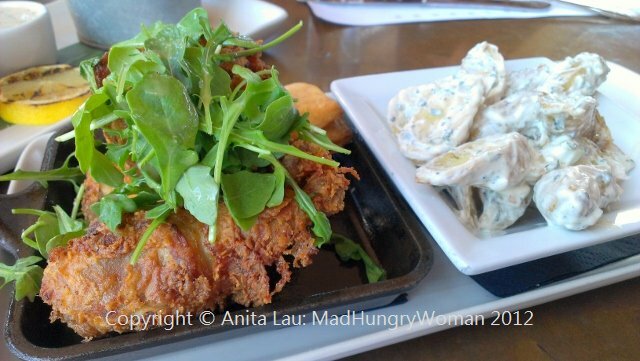 Unfortunately, this wasn’t Korean style, nor was it good fried chicken for that matter. The coating was weak and fell off the chicken upon touch. The chicken itself was flavorless. The potato salad side dish was tossed in kewpie (Japanese mayo) yogurt but the potatoes didn’t taste like it had been boiled in salted water because the potatoes were bland. Very disappointing. Fish N Chips ($17) was not any better. The fish was devoid of taste and was very wet on the inside which led me to believe it was previously frozen. 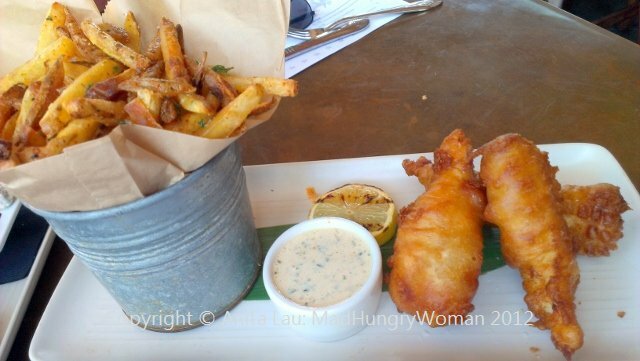 The ginger tartare sauce had barely any ginger, but luckily, the triple cooked kennebec french fries were really good! This certainly was not worth $17. We were so disappointed right now with our meal but decided to get a dessert to share because we had left most of the food untouched and frankly, we weren’t full. Thank god, Coconut Lemongrass Tapioca ($8) was THE BEST thing of our meal. 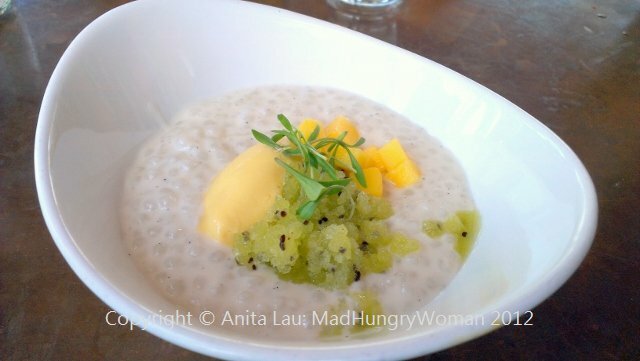 Topped with mango and served with kiwi granita and passionfruit coconut sorbet, this dessert was absolutely DELICIOUS and yes, coming from me, that’s saying a lot! It is always very tricky when it comes to fusion cuisine. When executed correctly, it can produce the sublime nuances of the best of both worlds. When poorly thought out, it can be pretty disastrous. I’m not saying this was a disaster by any means, but, it didn’t reflect a good understand of utilizing the fusion definition to its full potential. By labeling fried chicken as “Korean”, I expect some aspect of Korean fried chicken on my plate. Sadly, it was neither here nor there. I felt deceived by what was presented on the menu, to what arrived on my plate. All in all a very underwhelming meal. 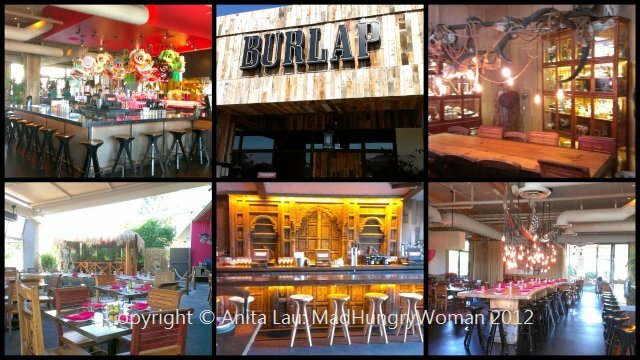 We had expected a lot more from Burlap and were hugely disappointed by our experience. Definitely not feeling like giving them a return visit any time soon. 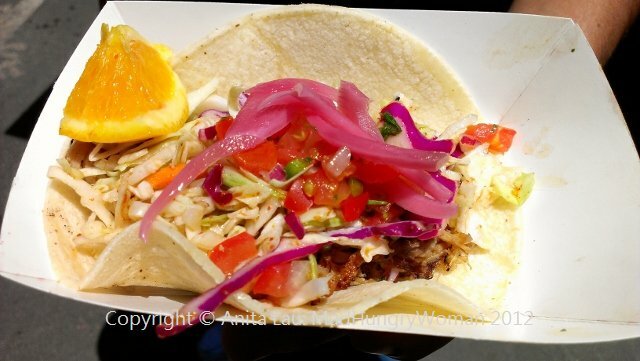 Over the weekend, I made the drive to Del Mar Racetrack to check out the Food Truck Festival featuring about 45 food trucks from OC and San Diego. Running simultaneously was the Craft Beer Festival, where I had read Ballist Point and Stone were going to be. We arrived very soon after the festival opened at noon. There were already a lot of people there, but the parking lot was only about a third full. A shuttle transported people from the parking lot to the location for those who didn’t want to walk. I’d never been to the racetrack before and was quite impressed by the architecture. We started off with an OC installation — Dos Chinos — with two of my favorites: Bolsa Pork Belly with the crispy pork and a tomatillo sauce. 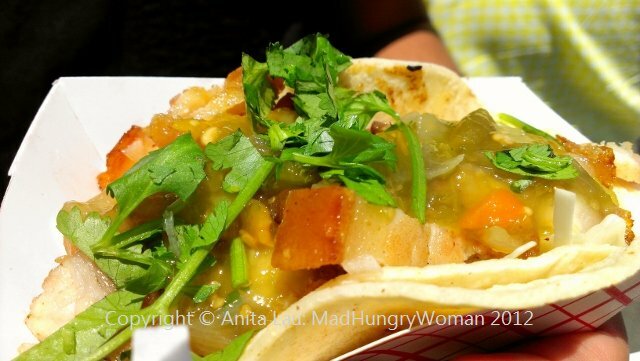 Oahu Shrimp is another delicious taco I get all the time off this truck! The shrimp has a great snap and the flavors just pop in your mouth. SO GOOD! Since I don’t get the chance to try many San Diego trucks, we decided to take this opportunity to do so starting with a Cuban truck called K’Paza. 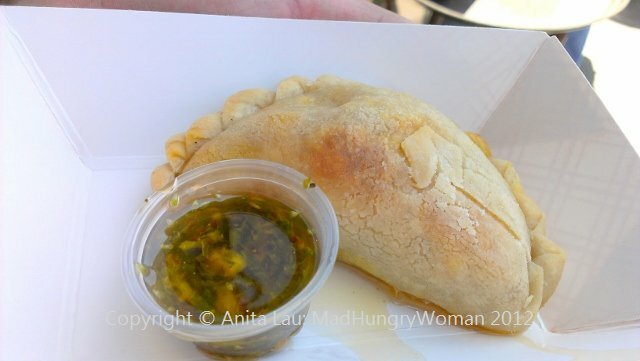 Since we didn’t want to fill up, we decided on ONE item from this truck and ended up with a chicken empanada. It was delicious! The chimichurri sauce is also perfectly executed! Simply fantastic. 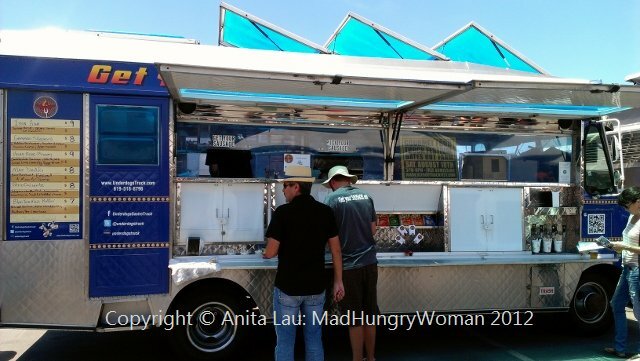 Next came Epic Eatz, another San Diego truck. 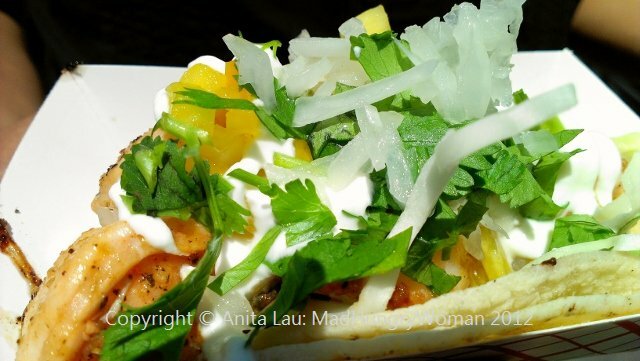 Kalua Pig Taco was our choice but sadly, it didn’t hit the spot. The pork had a strange smokiness to it, not the kind you find in kalua pork — and I *know* kalua pork. It was bland and flat in taste and when my friend, who never wastes food, told me “I’m going to have to toss this”, I had all the confirmation I needed. Sorry, but it was no epic eats that’s for sure based on that one taco. We took a break after this to drink some craft beers, but I couldn’t find Ballist Point anywhere. No Stone either. We ended up getting some Pyramid Apricot Ale which was quite light and refreshing in the heat. We got some sausages to pair with the beers. Underdogs Gastro Truck had an array to choose from and since we were already kind of full, we opted for the no bun option. We ordered a beer brat which was really tasty with a nice texture. They had a few kinds of mustards so we chose their house-made one. 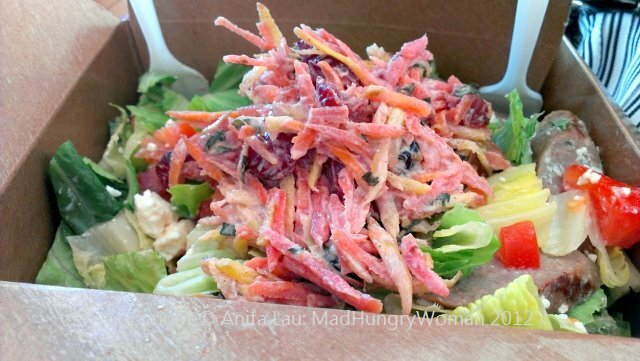 The guy also suggested the lamb sausage which is served over a Greek-style salad of romaine lettuce, feta cheese topped with a cinnamon slaw. The lamb sausage was great, but I didn’t care much for the slaw. At some point, we moved up to the stands to watch the races. Luckily we didn’t bet any money because every horse we picked didn’t win. After three races, we proceeded back down to finish our day with some dessert. We chose another San Diego truck, the Sweet Treats truck. We decided on an ice cream sandwich where there is an array of cookies and ice cream flavors to choose from to make your own combination. 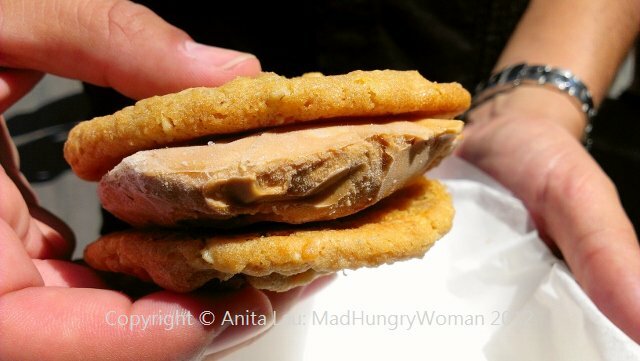 I chose the peanut butter cookies with the Kona coffee ice cream. They were good, but not fantastic. I like Chunk N Chip a lot better. So that’s pretty much it. 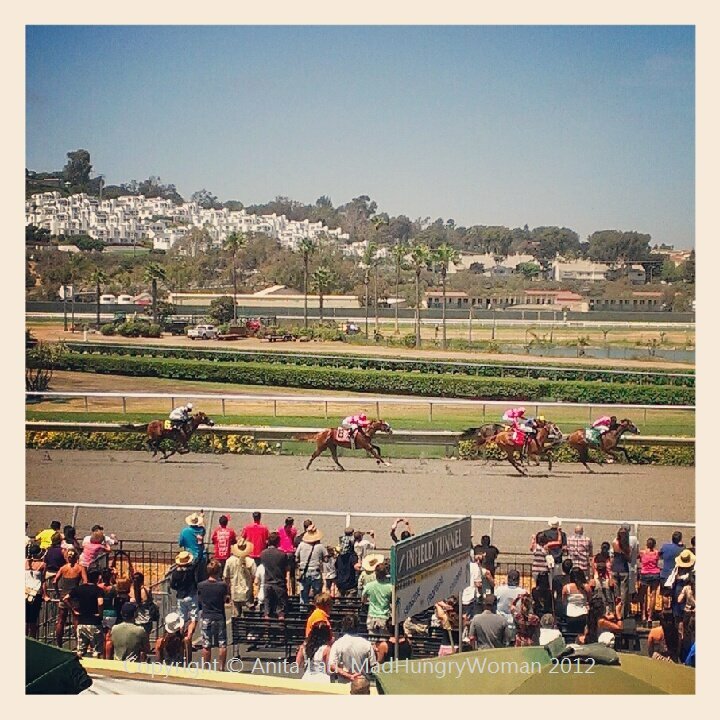 A fun day at the races with fun times eating and drinking. That’s a really good weekend! 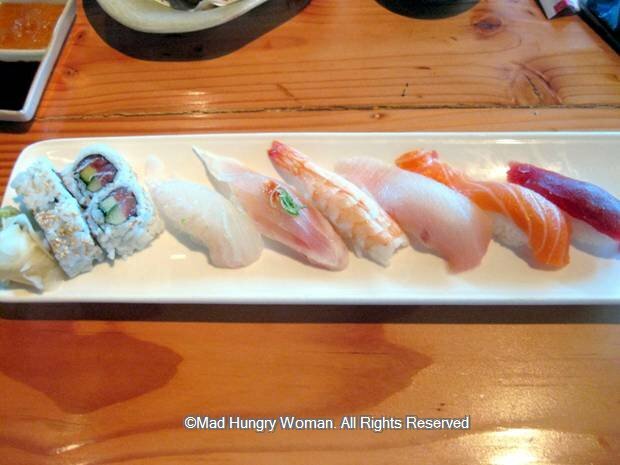 I don’t get down south too often, but I’m glad I did when I visited Shimbashi Izakaya in Del Mar. We were lucky that it was a gorgeous day because the restaurant is located in an ideal spot overlooking a glorious view of the ocean. The view alone is enough, but this izakaya offers some really delicious fare definitely worthy of the drive down. 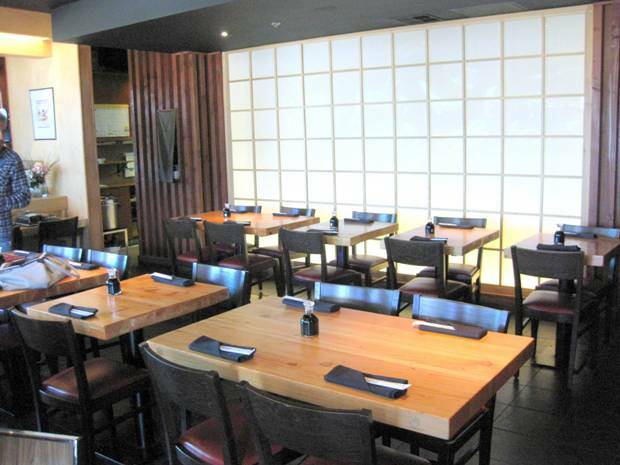 The restaurant’s interior is also trendy and chic. It reminds me of izakayas I’ve been to in San Francisco, where the atmosphere also is in perfect alignment with the food. 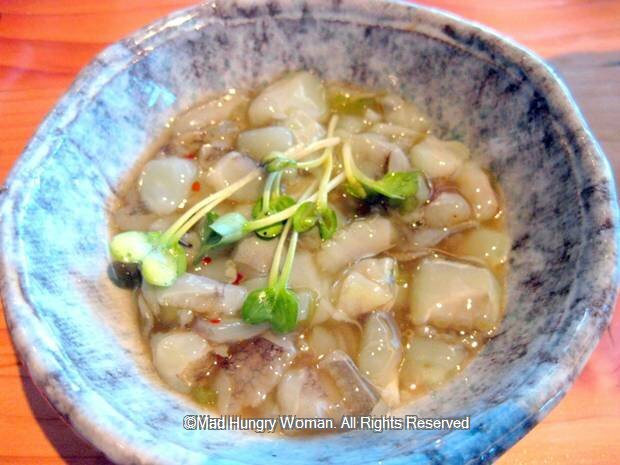 Tako Wasabi ($4) is always a favorite of mine. I don’t know what it is about the slippery feel of the fresh tako (octopus) in my mouth that makes me crave it bite after bite. My friends didn’t appreciate this as much as I did so I had no problem polishing it off all on my own. 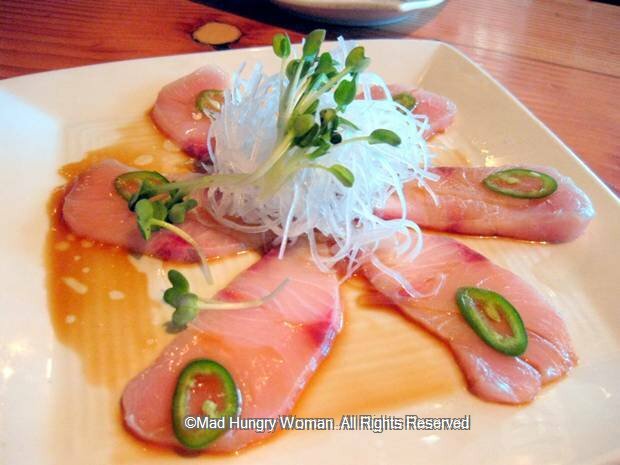 Yellowtail with Jalapeno ($18) was a lovely start to our meal. The ponzu marinade was a perfectly tart start while the jalapeno added a little kick to the mix. 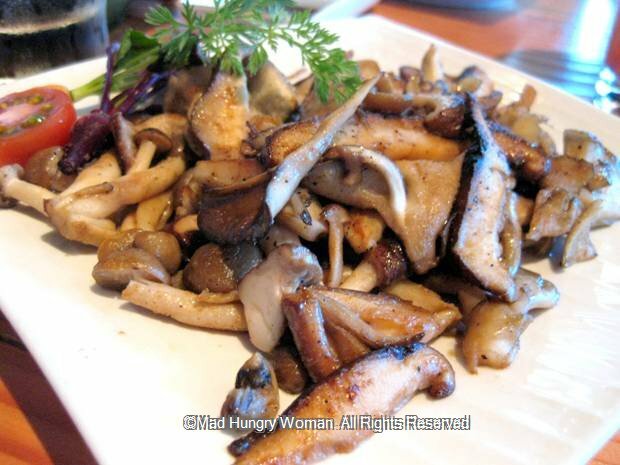 If you love mushrooms, try the Mix Mushroom Saute in Butter Sauce ($8) — so delicious with a blend of shimeiji, shitake and oyster mushrooms. It’s the perfect izakaya dish to go with some sake or beer. 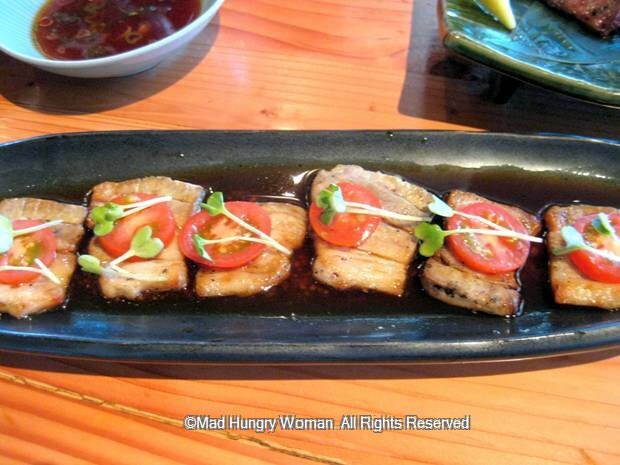 Shiobuta ($8) grilled salted pork belly was recommended by our server and is flavorful. I’m not a big fan of pork belly but one of my dining companions absolutely LOVED it. 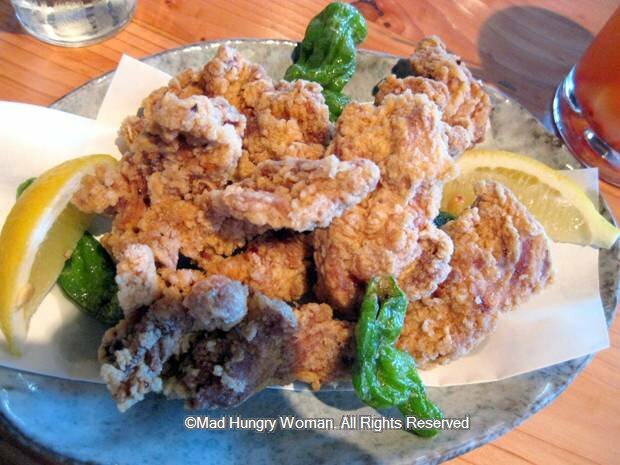 And who doesn’t love Chicken Kara-age ($7.50), tender pieces of fried chicken which you squeeze some fresh lemon juice over. I would’ve liked the chicken to have been cut a little smaller so they were a little more ‘bite-sized’ but still, it was SO good. We ordered the Assorted Sushi Platter ($15) for one of the less adventurous palates in our party and all the fish was so fresh and filled with umami. I ended up eating a few pieces off this and it was excellent if all you wanted was sushi. 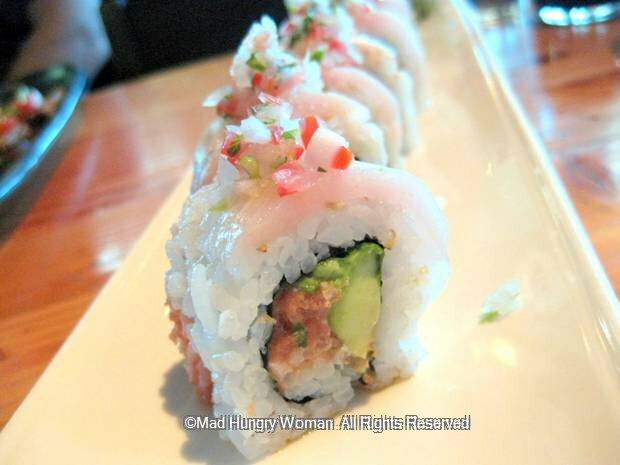 La Fresca Roll ($19) is Shimbashi’s signature sushi roll with spicy tuna, avocado, cilantro topped with yellowtail, pico de gallo, garlic oil, sesame seeds and ponzu sauce. Although I’m generally not a fan of rolls, I loved this because it was simple, fresh and didn’t possess mayo which I find absolutely offensive in sushi. Rice and mayo just do not go well together. When I saw Nasu Miso Itame ($9) on the menu, I just HAD to order it. 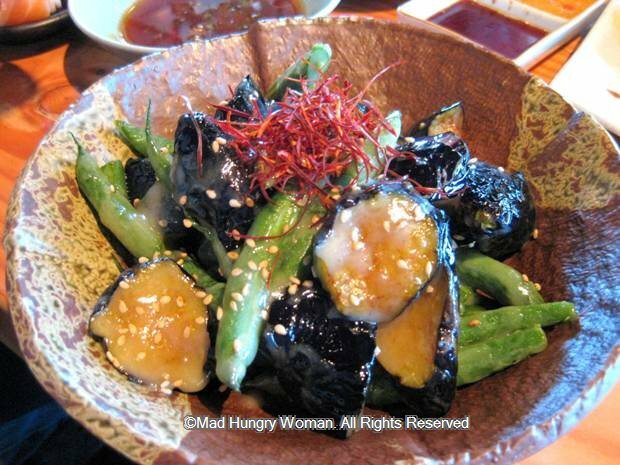 I’m a huge fan of eggplant and I always order nasu miso when I see it. The addition of blue lake beans gave it an added crunch. I really enjoyed the Grilled Beef Tongue ($9), albeit it was cut just a tad too thick so was a bit too chewy for my friends, but I liked it. Served with two dipping sauces — a salt and sesame oil, and a umami-filled soy based sauce. It is sad for me that in order to find a quality izakaya, I have to drive all the way to Del Mar. There isn’t one in Orange County I would say that comes even close to this. So if you’re in the neighborhood, stop by and enjoy some drinks and some delicious plates. I suggest going during the day or just around sunset to REALLY soak in everything the restaurant has to offer.